If there is a winery with something for every palate, it surely is Mission Hill Family Estate. This West Kelowna winery, where winemaking and viticulture are under the direction of veteran winemaker John Simes, has an astonishing range of brands and labels. These include excellent VQA wines from grapes grown on the almost 1,000 acres of Okanagan vineyard the winery has purchased during the past 15 years. There also are a range of non-VQA brands, such as Mission Ridge and Sonora Ranch, which are primarily blends of imported wines. In my experience, these are serviceable and inexpensive wines. The 2009 Sonora Ranch Merlot ($9.99) is a soft, fruity and cheerful red. To see the full range of Mission Hill wines, one should visit one of the winery’s Artisan Wine Shops (three in Metro Vancouver and one in Victoria). Over the summer, I have been making notes on a variety of the wines that Mission Hill and its alter ego labels are offering. The Mission Hill wines come in tiers, starting with the Five Vineyards entry level tier and move up to Reserve, Special Lot Collection and Legacy Series. Ganton & Larsen Prospect Winery is value-priced brand launched in 2007 by the same team that operates Mission Hill. As yet, no separate winery has been built although the sign beside a Black Sage Road vineyard suggests that one is planned. Prospect has its own winemaker, Wade Stark. Each of the labels is built around a story or a legend from the history of the British Columbia interior. Prospect has become a bigger brand that most of the Okanagan wineries, thanks in part of good marketing but mostly to VQA wines that often over-deliver for the price. Ganton & Larsen Prospect Winery 2008 Council’s Punch Bowl Sauvignon Blanc ($9.99). This unoaked white is refreshing and light with delicate citrus and herbal flavours. The wine is screaming good value. 88. Ganton & Larsen Prospect Winery 2009 Larch Tree Hill Riesling ($12.99). This refreshing white begins with attractive citrus aromas with the faintest hint of petrol. On the palate, there are bring, lively flavours of lime and peach, with an appealing fruit sweetness although the wine is balanced to a dry finish. 88. Ganton & Larsen Prospect Winery 2008 Townsend Jack Unoaked Chardonnay ($10.99). This is an appealing quaffer, with clean flavours of pears and citrus fruits. 88. Ganton & Larsen Prospect Winery 2009 Trutch Map Rosé ($12.99). Crisp and refreshing, this light rosé has notes of strawberry and raspberry. 87. Ganton & Larsen Prospect Winery 2008 Fats Johnson Pinot Noir ($16.99). Juicy and appealing, this wine begins with aromas and flavours of strawberries and spice. This wine has good varietal definition but is just a little light. 86. Ganton & Larsen Prospect Winery 2007 Red Willow Shiraz ($16.99). This medium-bodied red begins with aromas of plum, black cherry and oak and has earthy flavours of red fruit with a hint of pepper on the finish. 87. Mission Hill 2009 Five Vineyards Rosé ($14.99). Here is a serious dry rosé, with juicy flavours of strawberries, with good weight and with a refreshing finish. And the alcohol is a moderate 12.5%. 87. Mission Hill 2007 Five Vineyards Cabernet Merlot ($16.99). Five Vineyards is Mission Hill’s entry level tier of wines. I would call this a fairly safe red blend for that market – a firm wine with a hint of mint on the nose and with flavours of black currants and blackberries. The tannins are just a hint bitter when the wine is first opened. The wine benefits from being decanted. 86. Mission Hill 2008 Five Vineyards Pinot Grigio ($15.99). This is one of the most popular VQA wines in B.C. liquor stores. It is refreshing, with citrus and apple aromas and flavours of melons and apples. 88. Mission Hill 2008 Reserve Chardonnay ($18.99). Winery owner Anthony von Mandl describes this wine as the “grandson” of the Mission Hill 1992 Chardonnay that won the Avery Trophy in London. Like its ancestor, this wine is fermented partially and aged in American oak. The wine is fresh, with generous spicy citrus flavours and a hint of toastiness. The finish lingers. 90. Mission Hill 2008 Reserve Riesling ($18.99). Tangy and crisp on the finish, this wine has lovely flavours of lime and grapefruit, with a backbone of minerals that add to the satisfying weight of this wine on the palate. 90. Mission Hill 2008 Reserve Pinot Blanc ($18.99). Pinot Blanc is a bit of a chameleon that can be shaped to a variety of tastes. This wine strikes me as Chardonnay Lite, with its light gold hue, its lime and apple aromas and its rich apple flavours fleshed out with a bit of oak and lees effect. 89. Mission Hill 2008 Reserve Pinot Gris ($21.99). This is a complex white, perhaps overly complex, with toasty and lees aromas and flavours of pears and citrus. The finish is a bit austere. 86. Mission Hill 2008 Reserve Viognier ($18.99). A growing number of Okanagan wineries are now making wine from this superb Rhone white – a rare white variety that has some natural tannin. This makes Viognier a versatile food wine. Mission Hill’s release is one of the best, beginning with a fragrant floral aroma with an intriguing hint of hazelnut. I don’t know where that comes from but it is appealing. On the palate, the wine shows richness and power that is rare in whites, with flavours of ripe pineapple, apricots, tangerines and peaches. Available only at the winery and in the Artisan wine stores. 91. Mission Hill 2007 Select Lot Collection Chardonnay ($21.99). This is a lot of wine for the money – rich and elegant with citrus aromas and flavours of citrus, pears and melons well integrated with the oak (French this time). The finish is exceptional in its length. 92. Mission Hill 2007 Select Lot Collection Syrah ($36.99). Here is a bold Christmas pudding of a wine, with aromas and flavours of red plums, blackberries and spice, all nicely supported by leathery notes and oak. 91. Mission Hill 2005 Select Lot Collection Merlot ($29.99). Here is a superb Merlot released at its peak. There is an alluring aroma of blackberries and boysenberries. On the palate, there are dollops of sweet fruit, but with good concentration and framed by ripe tannins. It is a very satisfying wine. 91. Mission Hill Perpetua 2008 ($35). Impressive in its elegance, this polished wine begins with a lovely aroma of spice and fruit. On the palate, the vibrant flavours show apple and citrus flavours very subtly integrated with oak. This single vineyard wine incorporates only the free run juice of three Chardonnay clones. Available at the winery and in the Artisan wine stores. 94. In its second annual visit to Vancouver this week, the Similkameen Wineries Association continued the hard work of raising the profile of a region long overshadowed by the Okanagan. It is obvious why the Similkameen has been overshadowed. The vast majority of B.C.’s 200 wineries are in the Okanagan and wine tourists have acquired the habit of driving straight through the Similkameen on the way to the bigger region next door. Until a few years ago, there were just two wineries in the Similkameen Valley. And the accommodation was more suitable for tree planters than tourists. Well, there is a breakout happening in the valley. There are now 12 wineries and one of them, Crowsnest Vineyards, also runs an excellent country inn and restaurant. And valley residents tell me that the Benja Thai Restaurant in Keremeos is one of the better Thai restaurants in the province. There already are more Similkameen Valley wines on the market than we know. About 600 acres of vines are planted there (with plans for several hundred more acres). Most of those grapes end up at wineries in the Okanagan. Mt. Boucherie, Peller Estates and Kettle Valley are just three examples of Okanagan wineries that own Similkameen vineyards. Peller is the winery formerly known as André's Winery. In 1960 André's planted an experimental vineyard in the Similkameen. While that planting was not successful (for reasons lost in the mist of time), the winery also launched a brand called Similkameen Superior. The brand is still around. The irony is that today’s Similkameen Superior is a bottled in Canada blend of imported juice. That is a pity, now that the valley is getting a profile for growing good quality wines. The Similkameen Valley is already known for quality agricultural products, in part because 40% of the farms are organic. That is believed to be the highest percentage of organic growers for any agricultural region in the world (although that is a hard statistic to nail down). Many of the other valley farmers follow practices that are close to organic. The valley has the natural conditions that favour organic production. The summers are hot and dry and a persistent wind sweeps through the valley almost every afternoon. That clears away fungus and other causes of plant disease. The Similkameen’s wine region extends from just north of Keremeos along the river almost to the United States border. The degree days that are crucial for producing good ripe grapes are actually slightly higher here than in either Osoyoos or Oliver. Because of the wind and the clear night skies, there is usually a big difference between day time highs and night time lows. Those temperature swings are critical in preserving the fruit flavours and the acidity in the grapes. If the Similkameen is a good place for viticulture, it also has its issues. The biggest is risk of hard freezing in winter or even early autumn. Last fall’s Thanksgiving weekend freeze caused a lot of damage because the vines had not yet shut down for winter. Perhaps winter is what doomed the André's vineyard. However, today’s growers are better prepared to bring their vines through winter. And that is comforting because, based on this week’s tasting, the Similkameen wineries are growing excellent grapes and other fruits. The dozen wineries there include two fruit accomplished wineries. Please refer to my previous blog for reviews of what Forbidden Fruit Estate Winery is offering. Currently, only eight of the 12 wineries belong to the association. Those choosing to remain independent are Herder Vineyards and St. Laszlo (the oldest Similkameen winery). Clos du Soleil Estate Winery plans to join the association when it has a tasting room. And K Mountain Vineyards is part of the struggling Holman Lang winery group which seems to be in soft receivership. Here are notes on some of the wines I tasted. * Cerelia Vineyards & Estate Winery is a family-owned winery that opened last year near Cawston with family member Megan Mutch making the wines. I reviewed the 2008 reds in a blog on May 13 this year. Megan is now releasing two new wines. Chardonnay 2009 ($19) is a clean and fresh white, tasting sweetly of apples and citrus but finishing crisply. It is lighter and livelier than the previous vintage because the alcohol, at 13.2%, is appreciably lower than last year’s 13.9%. 88. Pinot Gris 2009 ($18) is similarly crisp and fresh with flavours of pear, apple and citrus and with a hint of anise on the finish. 88. * At family-owned Crowsnest Vineyards, German-trained winemaker Ann Heinecke now has made eleven vintages in the Similkameen. The winery’s Chardonnay Stahltank Reserve 2009 ($17.90) is so-called because it is fermented in stainless steel. The wine is crisp and refreshing, with citrus notes. It is light and easy to drink. 88. Riesling Family Reserve 2009 ($19.90) is a tangy, dry white with flavours of lemon and lime. 86. Pinot Gris 2008 ($21.90) has juicy flavours of peaches and nectarines. 87. Merlot 2008 ($20.90) is full-bodied, with flavours of plum and chocolate and hints of pepper and oak. 87. * EauVivre Winery & Vineyards was opened last year in Cawston by Saskatchewan oil well driller Dale Wright and his wife, Geraldine Estin, an educator. They were represented at the Vancouver tasting by Andrew Windsor, their new winemaker. A Canadian with a master’s degree in enology from the University of Adelaide, he comes to EauVivre after working at the Mollydooker Winery in Australia. Andrew takes over from Spencer Kelly who, after a couple of vintages, is going to wine school in the United States. However, the EauVivre wines that Andrew was showing are still from the 2007 vintage which was made by Lawrence Herder. EauVivre was the original Herder Winery and the Wrights bought it when he moved to a new property a few years ago. The EauVivre 2007 Chardonnay ($18) is bright with tasty citrus notes, thanks to its good acidity. 88. The EauVivre 2007 Pinot Noir ($19) begins with toasty and jammy aromas, shows rich fruit flavours – strawberries, red berries – and a silky texture. 88. * Orofino Vineyards has achieved a modest cult status since opening in 2005, hence the occasionally aggressive prices. In a career change, John and Virginia Weber moved from Saskatchewan in 2001, taking over a partially established vineyard. Some of their vines are almost 20 years old and it shows in the depth of the wines. They have also persuaded several neighbours to plant grapes, notably Bordeaux reds to support Orofino’s complex blends. Orofino 2009 Riesling ($19.90) has immediate appeal with aromas of citrus and tropical fruits. Full on the palate, the wine delivers flavours of apricots and citrus fruits, with a well-balanced kiss of sweetness. 90. The winery’s Pinot Noir 2008 ($31.90) is delicious, rich and silky on the palate, with spicy aromas and flavours of strawberries. 90-91. The Red Bridge Red 2008 ($24.90) is 100% Merlot from a vineyard in Kaleden. The wine shows the classic lush texture that one wants in Merlot – long, ripe tannins. The flavours of plum, black cherry and coffee are framed subtly with oak. The wine has a lingering finish. 90. The Beleza 2008 ($33.90) is the winery’s Meritage blend, 60% Merlot, 20% Cabernet Sauvignon, 10% each of Cabernet Franc and Petit Verdot (Beleza means beauty in Portuguese, we are told). Aged 16 months in new French and American oak, the wine is still tight; if you can’t cellar it for a few years, decant it. It begins with an interesting sage aroma. On the palate, there are flavours of currants, coffee and vanilla. 88-90. The winery also has just released two small lot wines. Petit Verdot Reserva 2007 ($45 and most of the 50 cases have been sold). The wine begins with perfumed spice and fruit aromas. On the rich palate, there are notes of red currant and raspberry. 89-90. The winery also has released 100 cases of Cabernet Sauvignon Reserva 2007 ($40), a bright and expressive wine with a firm texture, hints of cassis and an attractive finish of sweet fruit. 91. * Robin Ridge Winery was opened in 2008 by Caroline and Tim Cottrill, who moved from the Okanagan in the 1990s to develop a brand new vineyard in the Similkameen, not far from the Grist Mill. The winery’s Chardonnay 2008 ($17.90) begins with lively green apple aromas and delivers flavours of citrus fruits and more green apples. The finish is crisp and refreshing. 88. The winery’s Pinot Noir 2008 ($21.90) is made in the generous “Big Burgundy” style that appeals to those who want some power in their Pinot. It tastes of spicy plums and black cherries. It is beginning to show the classic velvet promise of Pinot Noir but is firm enough that I would cellar it a few more years. 88. Carrying on in the Big Burgundy theme is Gamay Noir 2008 ($19.90), which begins with aromas of pepper and black cherries. On the palate, it delivers bold flavours of plum and cherry enlivened with spice and pepper. 89-90. The Merlot 2007 ($23.90) shows the influence of bold oak aging both in the aroma and on the palate, supporting flavours of black currants and plums and chocolate. 87-88. * Rustic Roots Winery opened two years ago on a family-owned organic farm. The winery occupies part of a fruit stand right on the highway at Cawston. Winemaker Sara Harker had so many wines at her table that the tasting ended before I got through the dessert wines, with the exception of the quite remarkable Mulberry Pear Port ($28.90). The fruit comes from several old mulberry trees on the farm. The berries are macerated in alcohol over the summer and this is used to arrest fermenting pear juice when some sweetness remains. The resulting wine is neither as heavy nor as sweet as Port; perhaps that is why it tastes immediately like you want a second glass. I am at a loss for descriptors for this very successful tour de force. 90. The table wines are also very good. Peach Nectarine 2008 ($18.90) is the winery’s answer to Pinot Grigio – a delicate white with a refreshing, tangy finish. 88. Apple Pear ($18.90) is a dry, full-bodied wine in which the fruit flavours blend well. 90. Cherry 2009 ($18.90) is a tawny-hued rosé with flavours of cherry and almonds and with a texture rather like Pinot Noir. 88. Plum 2009 $18.90) is another rosé with spicy, fruity flavours and a dry finish. 89. * Seven Stones Winery, which also has the good fortune to front the highway, opened in 2007 and has begun to earn a cult following of its own. The winery’s Pinot Noir 2008 ($27.99) may be the prettiest Pinot Noir from the Similkameen, with bright flavours of raspberry and with a juicy, velvety mouth feel. 90. On the other hand, the Cabernet Franc 2008 ($24.99) is perhaps the biggest from the Similkameen, a bold wine with aromas of plum and graphite and earth and spicy, brambly flavours that linger. 91. This year, Seven Stones released its first varietal Merlot, called Row 128 Merlot 2008 ($24.99). It is named for winemaker George Hanson’s favourite part of his vineyard. You will understand why when you taste this rich wine with flavours of spice, black berries and plum. 90. The winery’s 2007 Meritage ($31.99) is piling up the awards, as did previous vintages of the Meritage. This is 60% Merlot, 35% Cabernet Sauvignon and 5% Cabernet Franc, aged 17 months in French oak. The wine is quite concentrated, with flavours of black currants, plum, chocolate, black olives and cedar. 90. The challenge that fruit wines give a reviewer is coming up with descriptors after having used up all of the allusions to fruit while describing grape wines. If Pinot Noir has strawberry or cherry flavours, presumably one would find Pinot Noir notes in strawberry or cherry wines. Of course, you don’t find Pinot Noir there. You just find that the cherry aromas and flavours are so much more intense in the cherry wine. But there are times when a grape wine is just as intense, as I discovered in tasting the current releases from Forbidden Fruit Winery – two grape wines and a range of fruit wines. Tasting these wines was a great sensory experience, even if I ran out of suitable descriptors. The winery, which is tucked away beside the river at the south end of the Similkameen Valley, is marking its fifth anniversary this year. Here, Steve Venables and Kim Brind’Amour operate a rather special orchard. It has been farmed organically for 34 years and has been certified organic for 25 years. Nearly half of the farms in the Similkameen today are organic; this one blazed the trail. They sell 90% of their fruit on the fresh market. The winery was launched to give a home for fruit that is surplus to the fresh market. Steve and Kim produce the wines to the same high standards as their fresh fruit. The evidence is in the winery’s consistent record of awards. Forbidden Fruit has won medals in each of the last five years at the Northwest Wine Summit. Just this spring, the winery brought home 15 medals from several festivals. The grape wines – a Cabernet Sauvignon and a Sauvignon Blanc – are released under what the winery calls its Earth Series. This program started several years ago and contributes funds to the Suzuki Foundation. The winery also raises funds for the Land Conservancy of British Columbia through the tasting donation jar in the wine room. Kim and Steve are dedicated to green values and sustainable farming practices. 2007 Earth Series Cabernet Sauvignon ($26). This wine, which spent a year in oak and a year in bottle before release, is unmistakeably a Cabernet with the hint of bell pepper in the aroma. On the palate, there are flavours of currants, blackberries and chocolate. It opens nicely with decanting. 86-88. 2009 Earth Series Sauvignon Blanc ($21). This wine is such a bowl of tropical fruit flavours that it was more than at home in a line-up of fruit wines. It begins with aromas of peaches and guava and has flavours of pineapple, gooseberry and peaches. A real tour de force. 88. 2008 Adam’s Apple Dry Table Wine ($17.95). One of my guests said this reminded her of Strongbow Cider, which she likes. In my view, this is tangier and lighter than an English cider, with the more appealing flavours (to a Canadian audience) of dessert apples. This is a good wine with food. 87. 2009 Cherysh Rosé ($19.95). This is a fairly full rosé with a complex flavour of the cherries and the nuttiness from the pits. It is balanced toward a dry finish, like a good Provence rosé. 87. 2008 Crushed Innocence ($21.95 for a half bottle). A dessert wine made with white peaches, it is luscious and delicate at the same time, with a sweet finish that goes on and on. 89. 2008 Impearfection ($21.95 for a half bottle). This dessert wine is made with Asian pears. The appealing spicy aroma recalls Gewürztraminer (sorry, I am running out of descriptors). The spicy aromas and flavours are beguiling and exotic; the fruit flavours – pear and spice – are pristinely fresh and clean, with a wonderful delicate elegance. The finish is sweet but with lovely balance. 90. 2009 Plumiscuous Plum Mistelle ($26.95 for a half bottle). A Mistelle is a wine made by adding spirit to unfermented or partially fermented juice. This wine has 17% alcohol, obvious only in its warming richness. There are layers of plum jam and cranberry flavours. The wine has the spectacular hue of an expensive ruby. Delicious on its own, it would also be brilliant in a glass of good sparkling wine. We would drink to the great double entendre in the name. 90. 2008 Caught Apricot Mistelle ($26.95 for a half bottle). Gold in colour, it begins with aromas of spiced apricots. The flavours are of ripe apricots and ripe pineapples. 88. 2009 Cerise D’Eve Cherry Port ($29.95 for a half bottle). This is like drinking a Christmas pudding, with its rich flavours of spicy cherries and mocha. The wine has the alcohol of Port but not the heaviness. 88. 2009 Pomme Desirée Iced Apple ($29.95 for a half bottle). This icewine-style dessert wine is an attractive gold in colour, with aromas and flavours of spiced baked apples. While this wine is sweet and juicy, the natural acidity balances the wine so that the finish is refreshingly clean. 89. The bottom line: Forbidden Fruit Winery takes fruit wine seriously. Maybe the rest of us should do the same. Vancouver wine marketer Christine Coletta has just come full circle. In 1992 she became the second executive director of the British Columbia Wine Institute and ran it for almost a decade. This week, Haywire Winery, which she has just opened with husband Steve Lornie, became the BCWI’s 100th member. 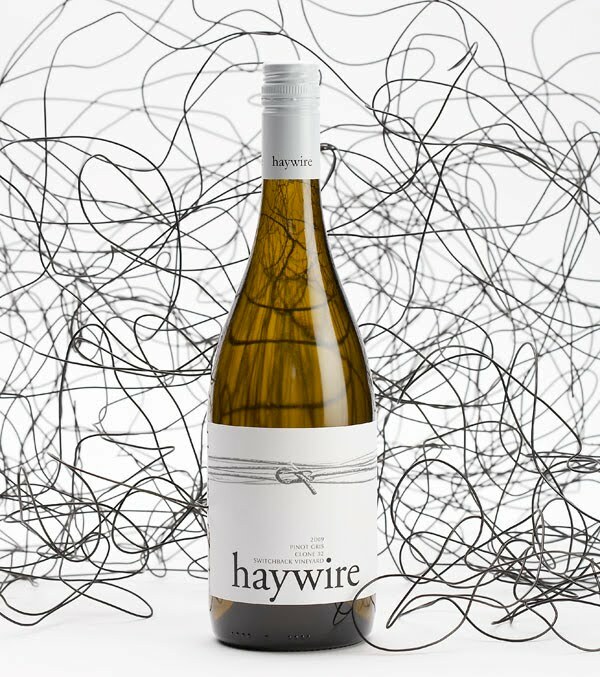 Haywire has just come to the market with 168 cases of 2009 Pinot Gris ($22.90), available initially in restaurants and a few private wine stores. In future vintages, the winery will sell from its website and VQA stores. As yet, there is no wineshop at the vineyard. However, Christine and Steve are not thinking small. They have lined up the grapes that will enable Haywire to produce as much as 5,000 cases next year. Steve, a veteran construction manager, is about to build a winery on the lake-view vineyard near Summerland to be ready for the 2011 crush. But when the net loss after running the orchard for a year was almost $33,000, Christine and Steve replaced the fruit trees with 10,000 Pinot Gris vines, which were planted in 2007. A few years later, they decided to open a winery as well. They named the estate vineyard Switchback “to celebrate the switch from losing money as orchardists to losing money as grape-growers,” they say in the winery brochure. The self-deprecating humour is typical of Christine. She explains that winery name alludes to “not functioning properly” – as in city slickers making the transition to farmers and winey owners. The estate vineyard is planted entirely to Pinot Gris. That decision is dictated by the fact that the site is cool: it gets the morning sun but, in the afternoon, is shaded by the mountain behind the property. Haywire will buy grapes from several other growers, notably Pinot Noir from Penticton-area grower Fritz Hollenbach. 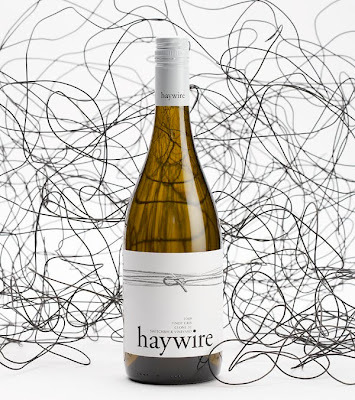 Haywire Pinot Gris 2009 is a wine with clean, laser-like focus, beginning with zesty citrus aromas and delivering flavours of citrus and pear, with bright acidity. This crisp, refreshing wine cries out seafood. 89. This winery is just the latest remarkable career move by Christine, a woman so independent of mind that she actually hated kindergarten and, for a time, refused to wear seat belts just because it was mandatory to do so. She did not like learning in groups or playing team sports. Christine, who was born in Vancouver in 1955, conquered her loner instincts when, at 15, she got a job at Denny’s, the restaurant chain. That led to an impressive career in the hotel and restaurant industry, including three years developing and giving training programs. 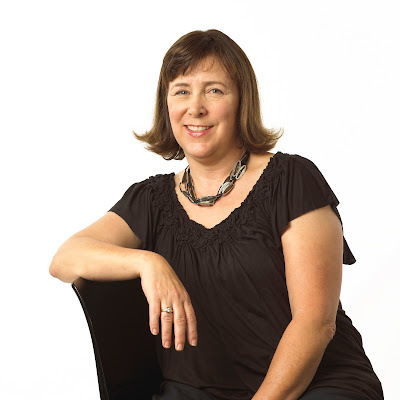 She was pulled into wine as a volunteer with the Vancouver Playhouse International Wine Festival and as the coordinator in 1986 of the Society of Wine Educators Conference in Vancouver. That brought her to the attention of Sumac Ridge founder and SWE member Harry McWatters, who was the founding chair of the BCWI in 1990. BCWI’s first executive director, Nick Clark, left after a couple of years and Christine was chosen from a list of eight candidates to take his place. For a year and a half, she worked from home and was the BCWI’s only employee. “Everything needed to be done,” she says. She had to get VQA wines recognized by consumers to give wineries some momentum. There was a lot of pessimism about whether B.C wines had any future at all. VQA wine sales in the 12 months to March 31, 1992, were only $6.8 million. By the summer of 1999, when Christine left to set up Coletta Consultants, her marketing company, VQA wine sales had reached $42 million. The industry, whose position she had established so effectively, was on a roll. The major clients of Coletta Consultants have included the Vincor group of wineries, a contract that is just ending. Meanwhile, Coletta has picked up marketing assignments with other Okanagan producers, notably the effective rebranding of Golden Mile Cellars to Road 13 Vineyards. Haywire’s 2009 Pinot Gris was produced with Michael Bartier and David Scholefield making the wines. Haywire’s 2010 vintage will be made by Mark Wendenburg, the former Sumac Ridge winemaker who now has his own consulting company. He will be assisted by a winemaking consultant from Italy, the first trained Italian vintner to work in British Columbia. “When you bring in people from outside British Columbia, it spreads the word around the world about what is being done in the Okanagan,” Christine says. The flagship wine at Herder Winery & Vineyards is its Bordeaux blend, which the winery calls Josephine. The current release, made with Merlot, Cabernet Franc and Cabernet Sauvignon, is from the 2007 vintage. When winemaker Lawrence Herder was putting together the blend for the 2008 Josephine, he also had Malbec and Petit Verdot available. When he made a blend, he decided that the style strayed too far from the profile that Josephine’s fans have come to expect. What to do? He left the formula for Josephine basically unchanged. To use up the Malbec and the Petit Verdot, he made a Meritage and he bottled some Malbec on its own. This has turned out to be win/win for Herder’s customers. The Meritage sells at half the price of Josephine, delivering terrific value. The Malbec is so tasty that, alas, it is already sold out. Since opening in 2004 in the Similkameen Valley, Herder Winery has attracted a cult following. That was driven in part by the aggressive Vancouver agent that the winery employed for a few years but mostly it was a response to the interesting wines made by Lawrence, a high-energy graduate of Fresno State wine school and the owner of a winery in Paso Robles before coming to Canada early this decade. Lawrence and Sharon, his wife, have been a major force in the development of Similkameen vineyards and wineries. Lawrence has been involved as a consultant or vineyardist in at least half a dozen wineries, stretching himself to the point where a cardiac problem showed up (and has been corrected). In the last year, the Herders have removed a few things from the plate, concentrating primarily on limited volumes of premium wines. Much of it is now sold directly from the winery or over their website. Judging from the satisfying tasting experiences delivered by the winery’s current releases, this is a good strategy. Herder Pinot Gris 2009 ($17) re-establishes this winery (after a weak 2008 Pinot Gris) as a master of the variety. Refreshing and crisp, this wine begins with aromas of citrus and apples and delivers luscious flavours of pear and white peach. The fleshy weight on the mid-palate suggests the result of carefully monitored time on the lees. The finish lingers. 90. Herder Twin Benches Chardonnay 2007 ($35) announces that it is a serious wine by coming in an extravagantly heavy bottle. Dress to impress … and impress it does. The buttery tangerine and tropical aromas soar from the glass. On the palate, there are tangerine and nectarine flavours framed subtly by light, toasty notes of oak. This is an elegant and powerful Chardonnay. 89-91. Herder Malbec 2008 (NA). Snap it up if you find this wine on a restaurant wine list. It begins with rich aromas of plum, black currant and chocolate. Full on the palate, the flavours are lit up by notes of spice and red plums, with more spicy fruit on the finish. 90. Herder Meritage 2008 ($20). This is a 9,200-bottle blend of Merlot (70%), Cabernet Franc (15%), Cabernet Sauvignon (10%), Malbec (3%) and Petit Verdot (2%). The wine, aged in French and American oak for 16 months, is a good honest drink at a great price. Medium-bodied, it begins with attractive berry aromas and delivers flavours of currants, with a hint of chocolate. The tannins are firm enough to allow cellaring this wine for another five years. 88. 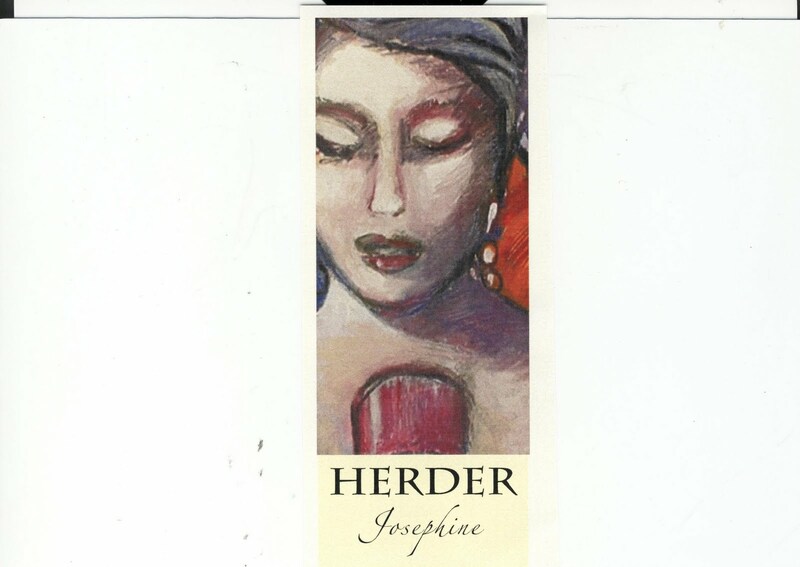 Herder Josephine 2007 ($39). This is a blend of Merlot (66%), Cabernet Franc (21%) and Cabernet Sauvignon (13%). The Cabernet Franc delivers typically attractive brambly aromas to a wine that is packed with sweet fruit on the mid-palate, flavours of plums, blackberries, with a hint of mocha. This is a big satisfying red that is drinking well now but clearly has good potential to age. 92. There was a time when British Columbia’s elite Pinot Noir producers could be numbered on the fingers of one hand. That’s no longer so. Perhaps it is a coincidence but ever since the movie, Sideways, gave a major boost to Pinot Noir sales, more and better Pinot Noir wines have begun to show up from our domestic producers. One of the new entrants to the Pinot Noir sweepstakes is Meyer Family Vineyards, which opened in 2008 as a Chardonnay specialist. Unfortunately for Meyer and all the other wineries making equally elegant Chardonnay, no one has gotten around to making the Chardonnay movie yet. While Meyer has been selling out its two Chardonnays, the winery has never produced either in large volumes. Two things happened in late 2008 to move winery owner JAK Meyer beyond his initial ultra-boutique strategy. Firstly, he was able to hire Chris Carson, an Edmonton native who had learned to make wine in New Zealand and then returned to Canada with a resume that JAK could not resist. Chris had some serious experience making Pinot Noir, so JAK quickly lined up the necessary grapes. 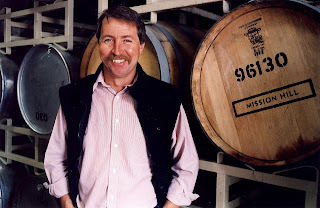 Secondly, JAK was able to buy an established vineyard in Okanagan Falls which was growing, among other varieties, an acre and a half of Pinot Noir. This year, Meyer pulled out Gamay and Cabernet Franc to plant another five acres of Pinot Noir in what the winery calls its McLean Creek Vineyard. This summer, Meyer has begun to release its first wines, one of them a Pinot Noir, from McLean Creek. The Okanagan Falls region has a track record for Pinot Noir. The producers in the region already making this variety successfully include Stag’s Hollow, Noble Ridge and See Ya Later Ranch. Of course, the most established Pinot Noir producer here is Blue Mountain Vineyard & Cellars, which opened its doors in 1992 with Pinot Noir. By coincidence, I had a bottle of Blue Mountain Pinot Noir Reserve 2007 on hand. So I tasted it about the same time that I tasted the two Meyer Pinot Noirs, both from 2008 (only one has been released). Blue Mountain is still the champion but Meyer is worth keeping an eye on. Chris Carson did not have full control of the grapes in 2008. I am pretty confident he began raising the bar in 2009 when he was in control the entire season. Almost more than any other wine, Pinot Noir is made in the vineyard. Before getting to those wines, let me mention two other Meyer releases. The 2009 Meyer Gewürztraminer ($22) is from grapes still growing in the McLean Creek Vineyard. This is a wine with attractive lychee and citrus aromas and flavours, finished in a dry style but with a good concentration of fruit. 88. The winery made only 150 cases of 2009 Gamay Rosé ($20), presumably from vines that have now been replaced with Pinot Noir. This wine has intriguing smoky, strawberry aromas, juicy strawberry flavours and dry finish. 87. While Blue Mountain released its Pinot Noirs several months ago, both the regular and the reserve are still available. There was a time when these wines were snapped up in a matter of weeks. Now that there are more Pinot Noirs available, consumers seem to be taking their time. Blue Mountain Pinot Noir Reserve 2007 ($35.90) is a deep ruby-hued wine with aromas of cherries. It is a concentrated wine with the velvet texture some of us look for in Pinot Noir; yet it also has the fine ripe tannins that give the wine plenty of cellar time (at least seven to 10 years). It has flavours of cherries and strawberries well integrated with toasty oak notes. This wine was retasted after being open for a day; it had become generous in texture and more juicy in flavour. Decant this wine. 92. Meyer Family Vineyards McLean Creek Pinot Noir 2008 ($40) is a dark-hued wine and is somewhat more muscular in style than Blue Mountain Only 150 cases were produced. It begins with aromas of cherries, raspberries and nutmeg (the latter is probably a barrel note that adds complexity). The fruit flavours are full and ripe, with hints of cherry and even chocolate. 88-90. Meyer Family Vineyards Central Okanagan Pinot Noir 2008 ($40 when released in October). This dark, robust Pinot Noir has been given extra bottle age before release to give it the appropriate time to develop. It has spicy, jammy aromas of sweet fruit. On the palate there are flavours of plum and black cherry. The fruit is so concentrated that the wine seems almost porty even if the alcohol is a reasonable 13.5%. This is a bottle that will reward patience in the cellar. 88-90. When the wine market is as competitive as it has become, how does a winery get notice for its products? One way is to roll out smart new labels, as a number of B.C. wineries have done recently (CedarCreek, Blasted Church, Road 13, 8th Generation and Venturi-Schulze come to mind). The latest to enter the new label sweepstakes is Rollingdale Winery, a low profile winery although it is the closest winery in the Mt. Boucherie region to Kelowna. The above photo provides a before and after shot. The dark label with gold lettering is on the winery’s 2005 Pinot Noir. It is a classic label that one might find on a famous centuries-old French producer. Trouble is, Rollingdale is about five years old and, even though it is an organic producer, it is not well known. The white label is brilliantly contemporary and New World. It is the sort of label you can see across the room. When it sits on the restaurant table next to you, it will get noticed – unlike the former label. And it is a label that will not need to be revisited in a couple of years. Kudos to the designer. The winery has released both an organic Pinot Gris and a non-organic Pinot Noir under the new labels. One assumes there are other releases in the works. Rollingdale’s peers might keep on eye on how well these wines sell. I am betting the label makeover will give Rollingdale a big lift.